My faith in ASOS continues to climb these days. First, I fell head over heels in love with this Isabel Marant-esque western dress and was amused to find that it fit perfectly. 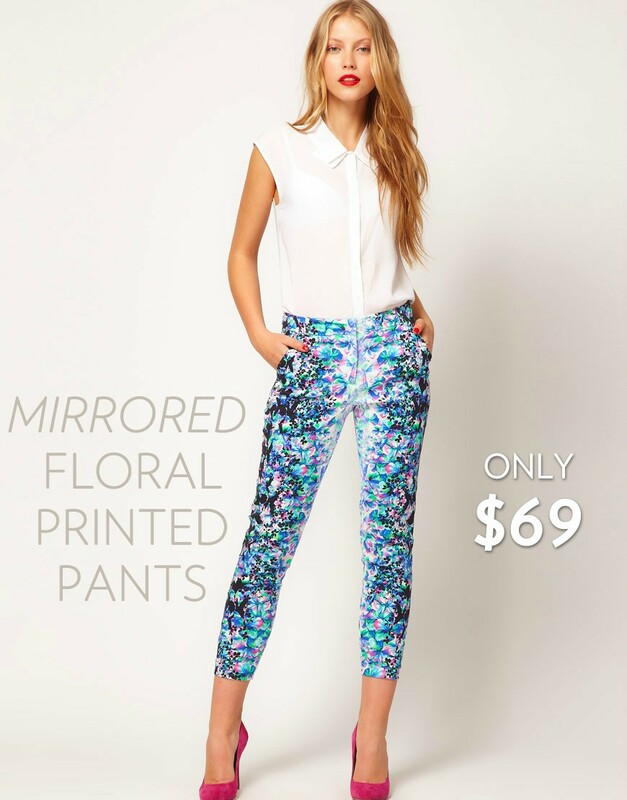 Now my obsession moves to my latest purchase as of yesterday –> these Mirrored Floral Printed Pants that go for only $69!! The color scheme is gorgeous and the pant will go perfectly into fall with my numerous black blazers. I do hope they look as good as they do on the site – perfection!